The road to video game console success is strewn with the ruins of epic failure. T3 unveils 10 consoles that time forgot. How many do you remember? After hitting paydirt with the 2600, Atari hit only dirt with this more powerful replacement. It was introduced at same time as the Atari 400 and 800 home computers. Alas, Atari's resources couldn't stretch to support them all. Boasting the second worst bird-themed name for any console ever (keep reading), this Game Boy rival could be played horizontally or vertically. With some high-profile titles and a whopping 12 buttons it was a hit in Japan - an updated model lands there this summer - but not elsewhere. This launched with 12 very impressive arcade ports and some bizarre-looking peripherals but was then hit hard by the gaming crash. It went under just 18 months after launch. The Fairchild VES's cartridge-swallowing innards were designed by Intel founder Robert Noyce. Its success influenced the Atari VCS - so much so that Fairchild later changed the name to the Channel F to avoid any misunderstanding. Advertised as "the closest thing to the real thing" by US sports writer George Plimpton, the Intellivision was Mattel's response to the Atari 2600's huge success. A total of 125 games graced its cartridge slot, but increasing competition and the great gaming crash of 1983 sealed its fate. At 14cm square, this is still the smallest home console ever sold and produced mock 16-bit graphics from an eight-bit CPU. Alas, Nintendo and Sega were already controlling the market. The most notorious gaming flop since ET on the Atari 2600, this 32-bit handheld invited gamers to view monochromatic 3D graphics through an eyepiece. Migraine and financial misfortune soon followed for user and seller respectively. Panasonic's dream was to lease its CD gaming format to all and sundry, simultaneously ending proprietary cartridges and earning a tidy buck. The 32-bit machine had some top class arcade ports but drowned in the PlayStation's wake. 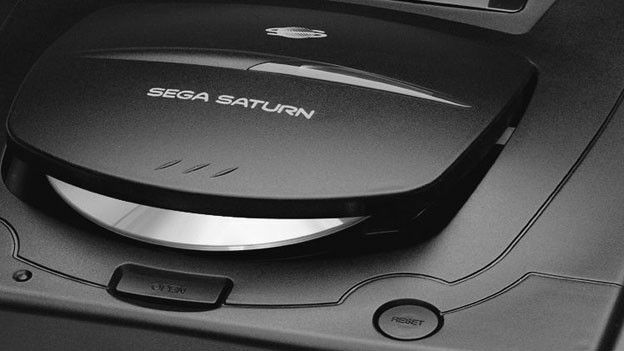 Sega's four-month headstart on the original Sony PlayStation was squandered by a dearth of launch titles, poor support from third-party developers and a too-high asking price. Sold in the US under the equally ill-conceived name "Cougar Boy", this budget handheld was a joint venture between several small companies. It rocked a 2.7-inch LCD display that produced eye-bleedingly rich, five-colour graphics but only ever had 37 games to show off on it.